DJI just announced their Super Sale promotion to ‘coincidentally’ take place at the same time as the Amazon Prime Day we announced earlier. For 36 hours, the Chinese drone maker will offer up to 30% discounts on select products. The event starts on July 16 at 12:00, although it doesn’t say what time zone. Even the link to their website is not working at the time of writing this article. I’m sure DJI will straighten that out soon. Among the various discounted products, will be a DJI Mavic Pro Fly More Combo priced at $999 instead of $1,299. A Spark Fly More Combo for $499 instead of $549. The Mavic Pro for $799 instead of $999. The Ryze Tello ($99) with an additional battery free of charge. And a DJI Phantom 4 Advanced for with an extra battery among other things. Currently, the link to these specials in their online store is not working yet, but we assume that will be fixed well before July 16th. 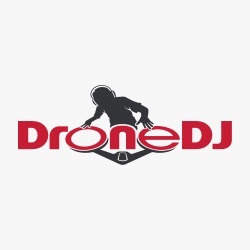 You can use this link to go to the online DJI store in the meantime.